How long can you store propane? 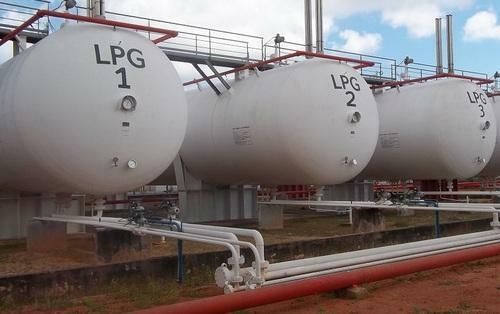 Propane(also known as LPG) is an essential gas used for heating and energy. You can get propane tanks at most department stores like Walmart or Target. How long can propane be stored? Can you buy some today and still use it in the distant future? The short answer: YES. Propane almost never goes bad, and has an indefinite shelf life. The only limiting factor is the durability of the container or tank itself. This is why propane is the fuel of choice for emergency and backup generators. Other fuels like gasoline and diesel will tend to degrade over time, making them useless if you don’t use it up over a given period. Good quality propane tanks can last for up to 30 years. There are a few things that can potentially go wrong with tanks, but you can try to control them as best as you can. The best propane tanks are made from galvanized steel. Steel is at risk for rusting, but since there is no water or air inside tank, it’s unlikely that it will corrode. Other variations are made of aluminum or composite materials such as carbon fiber, which just don’t rust at all. The weakest point in the tank is the rubber hose or valve, which tends to degrade over time and causes leaks. The propane itself doesn’t go bad, it’ll just slowly leak out. There is a simple test you can do to make sure there aren’t any leaks before using a full, older tank. This test is called the soapy water test. A solution to leaky rubber hoses is to use copper tubing or piping instead. Can you store propane indoors? Storing propane indoors is a bad idea. 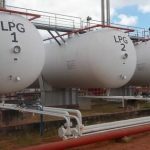 Propane is a highly flammable gas, and while the gas in the container is safe and secure, you never know when there is a leak – enough of the gas indoors can catch on fire and explode with even a small spark. It’s not advisable to even use a garage – the best place to store propane is outdoors where, in case of a leak, the gas easily dissipates into the atmosphere and becomes harmless. Contrary to what you see in movies and video games, propane tanks are actually extremely durable and you’d have to try really, really hard to get them to explode. The tanks are rugged enough to withstand jostling around, and even a bang or two. You could even shoot a tank and as long as the bullet doesn’t pierce the metal(ordinary bullets would not), nothing would happen. One case where a tank can explode is referred to by firefighters and hazmat teams as BLEVE – Boiling Liquid Expanding Vapor Explosion. This is not exclusive to propane tanks – rather, this can happen with any pressurized gas canister. Tanks have a safety relief valve that automatically opens when the pressure inside the tank increases. The open valve helps relieve the inside pressure until it normalizes. At that point the valve will automatically close again. The pressure inside a tank will increase only if the tank is subjected to extreme heat – such as being in a fire for a very long time. With enough heat, the liquid propane inside the tank will begin to turn into a gas(vaporize) and expand. The expanding gas will slowly be let out by the safety release valve. However, if the expansion is too rapid, the release valve will not be able to keep up and it may rupture, causing a bigger leak. The leaking gas – which is already in a fire – will explode upon contact with fire. Most propane tanks are incredibly resilient and it would take a LOT of fire and a LOT of time to get it to the point of explosion. Can you store propane tanks outside in the winter? Yes, you absolutely MUST store tanks outside – there should be no situation whatsoever in which you are storing tanks indoors. If the ambient temperature drops below -44 degrees F (-42 degrees C), the propane inside your tank will freeze up. Frozen propane will not vaporize and you won’t be able to use it until it warms up a little. To keep the pressure at a level where the propane remains in liquid form, you can keep the tank as full as possible. Of course, keeping your tank full is tedious and expensive, so the second best option is to look into warming solutions. NEVER USE AN OPEN FLAME OR HEAT SOURCE! Instead, you want to use insulating blankets such as these from PowerBlanket. Petrol or gasoline has a very limited shelf life. Good quality gasoline will only last up to 6 months. With certain additives, you can extend the shelf life to about 15 months, but even that is pushing it. Gasoline is actually a mixture of multiple components. If you leave petrol out in the open, the components will evaporate at different rates, first compromising the mixture, and ultimately leaving you with a sticky, sludgy residue. Many countries now use petrol with added ethanol. This makes it even more unstable, first because ethanol attracts moisture from the atmosphere, and second because it degrades the rubber seals inside the container. Diesel is similar. With additives, it can last up to 3 years. The main issue with both gasoline and diesel is disposing of the toxic sludge that is left over! Gasoline vs propane: which is the better emergency fuel? Without a shred of doubt, propane is the better fuel to keep on hand for emergencies. Since there is no shelf life whatsoever, you can literally use it for as long as it lasts. You can use propane to cook food, run your generators, and if your car has a conversion kit, drive your car with LPG.